One of us is at home on their sofa, with a super-sized box of Kleenex, watching the British House of cards—achooo. The other is here at the studio. 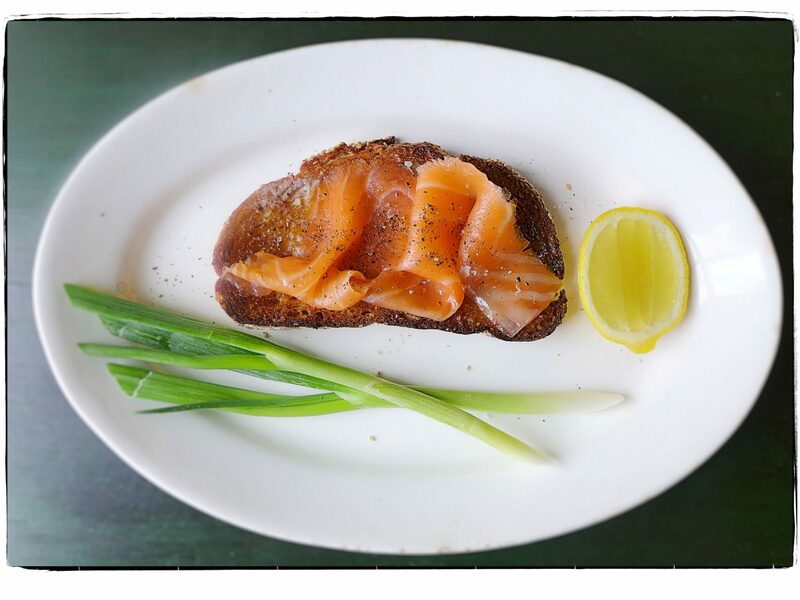 So it’s a simple, solo lunch of toast with Scottish smoked salmon. Listening to Ali Farka Touré to keep it all going. Enjoy your weekend, dear friends. Think of us and cook something delicious for yourself.